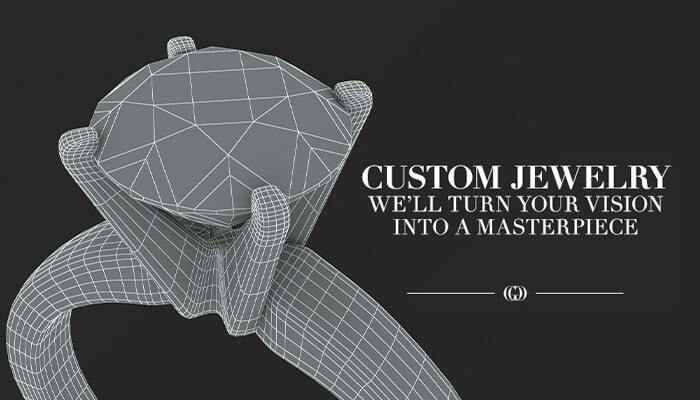 TURN YOUR VISION TO A ONE-OF-A-KIND MASTERPIECE WITH OUR CUSTOM JEWELRY SERVICE. Would you like to create the perfect piece of jewelry? Work with us to design and create the piece of your dreams. Work with one of our setting specialists and we will design with you, hand in hand, the perfect piece of jewelry. Share your ideas with us and we will work with you every step of the way with CAD designs, show you renderings, then the resin model for your approval. If you would like to work with us to create a custom made jewelery piece, please contact us to start the process. Below are some of our "Concept to Creation" videos showing some of the custom work that we have done.